Move right into this beautifully updated, freshly painted and carpeted sundrenched upper end unit with lots of convenient parking at front door. 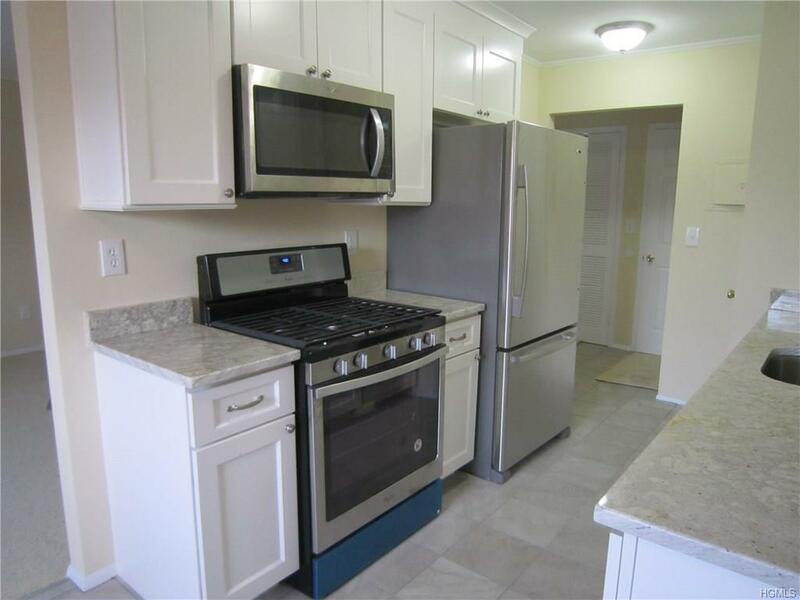 You'll love cooking in this just renovated kitchen with white shaker cabinets and self closing drawers, granite counters, stainless steel appliances and a ceramic tile floor. Other features include a dining area which opens to a large living room with new sliding doors to a deck, spacious master br with lots of closet space -2 oversized double closets plus a single closet. Updated neutral bathroom. New front loading washer/dryer within apartment, windows, masonite doors, window blinds. Central air. Ultra convenient location is great for commuting - walk to NYC bus and very close to train and all major roadways - 287, Garden State Pkwy and Palisades Pkwy, shopping, restaurants, etc. Pool and playground. One assigned parking space at front door - lots more unassigned. Low taxes $3,209.84 w basic star. Pet friendly too. Don't wait! Listing courtesy of Amy B Brown-Vigotsky of Bhg Rand Realty.